60 Years of Combined Legal Experience Robert H. Osburn and Billy McGill stand by your side when dealing with difficult times. Our law firm and attorneys have legal experience of more than 60 years handling personal injury, probate litigation and wrongful death legal cases. Our litigation experience and in-depth knowledge will see your case through from beginning to end. Our law firm is known for its hard work and ability to solve problems when tragedy strikes. We provide successful representation so you can find closure and move on with your life. Here is what a recent client had to say about our legal services. "He is a very compassionate and caring person. His advice has helped me and my family tremendously to get through difficult times." Personal Injury - Trucking Accident Personal injury from a trucking accident or other accidents can have devastating effects on your physical and mental health along with your financial well being. After the smoke clears it is imperative you retain a responsible and trustworthy law firm to help you put the pieces back together when recovering from personal injury. Our attorneys at Robert H. Osburn, P.C. work with you to find a resolution and are prepared to litigate your case. Our law firm provide you with the legal advice and representation you can rely on. Probate, Estate and Trust Law The death of a loved one is one of the hardest events to deal with and often brings unexpected consequences, such as disputes among family members about the estate or trust. If you and your siblings or other family members are arguing about who gets what, we can help. Our law firm helps people find efficient resolutions to their estate issues. We are prepared to vigorously represent you in probate court today. Wrongful Death - Safety Negligence The loss of a loved one has a profound impact on your life emotionally and financially. Our law firm employ private investigators and work with expert witnesses to ensure every case receives the attention and resources it deserves. Our team of attorneys carefully collects and preserves evidence from accident scenes, and any witnesses and their testimonies. Our law firms goal is to make certain you receive the maximum compensation possible under Texas law by exploring all of the options when building your wrongful death case. At Robert H. Osburn, P.C., we have a successful record of representing those who have been devastated by trucking accidents, motorcycle accidents, and wrongful death. Holding responsible parties accountable Because trucks are heavier and larger than cars, trucking accidents involving semis tend to cause more severe injuries and have a higher fatality rate. Many trucking accidents can be avoided if truck drivers and responsible companies act with a minimum standard of care. When they do not, the attorneys at Robert H. Osburn, P.C. use our more than 60 years of combined legal experience to prove those companies' and individuals' negligence and liability in cases involving: -Driver fatigue -Aggressive driving behavior -DUI/DWI -Unsafe driving conditions, such as snow, ice, rain or fog -Unlicensed or untrained drivers -Truck rollovers - Oversized trucks - Overloaded trucks - Tire blowouts - Brake failure - Poor truck maintenance - Mechanical defects - Tractor-trailers and 18-wheelers Let our knowledgeable team prove your case To prove a personal injury claim, you must show that your injuries resulted from the defendants' negligence. Our trucking accident attorneys consult respected experts with experience addressing the nuances of trucking accident claims. At trial, these professionals educate jurors about the causes of the accident and resulting injuries. Our lawyers regularly work with: -Trauma doctors -Chiropractors -Forensic engineers -Mechanics -Accident reconstruction analysts Efficient lawyers immediately available After a truck accident, trucking company personnel quickly converge on the scene to gather evidence for their defense. At Robert H. Osburn, P.C., we match the immediacy of their response. We measure and photograph the scene of the accident to preserve such crucial evidence as skid marks and vehicle positioning. We talk to witnesses while their memories are fresh. We also take notice of any special circumstances that would indicate whether driver intoxication or fatigue, improper truck loading, or mechanical failure played a role in the collision. You deserve appropriate compensation for your injuries Our attorneys employ a practical, professional approach to ensure you obtain full and fair recovery for your injuries, including damages for past and future medical bills, lost income, emotional distress, and pain and suffering. If you have lost a loved one in a trucking accident, we can file a wrongful death suit on your behalf. Our attorneys obtain the best possible recovery by applying their extensive litigation experience and settlement negotiations skills. Because we believe all injured people have the right to competent representation, we accept cases on a contingency basis. This means you pay nothing for our services until we win your case. A trial lawyer is not like a politician when a politician makes promises to the people of his district and gets elected; he then goes to Washington and listens to the lobbyists. Not so with a trial lawyer. He explains to the jury what he will prove and then he presents to the jury the facts and the evidence and the testimony and then the jury answers questions that grade how the lawyer has done. Has he proven what he said he would? Since 1985, our law firm and Bob Osburn has been rated by Martindale-Hubbell pre-eminent AV voted by his peers to have the highest skills and highest ethical standards among those that know him law firms and lawyers who have worked with him and who have been his adversaries on legal matters and suits. The AV rating is an objective indicator of a lawyer's high ethical standards and professional skills, generated from evaluations of lawyers by other members of the bar and the judiciary. Also, the client review ratings of Martindale-Hubbell have contributed to a comprehensive review. 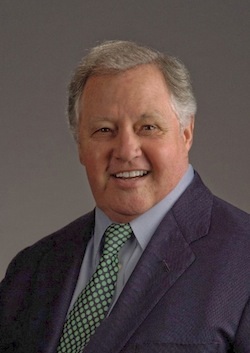 After graduation from the University of Texas in 1967 and St. Mary's School of Law in 1970, he began his law practice in Dallas, first as an Assistant City Attorney for the City of Dallas and then served as an Assistant District Attorney under Henry Wade. It was in the District Attorney's Office where Bob Osburn was first encouraged to develop his trial talents and did just that by trying jury trial after jury trial. The work was intense but he loved it. Bob wanted to serve people. He wanted to be on his own and wanted to develop his own clients and develop cases and try them to juries. So, that is what he has done over the years. State and Federal lawsuits from East to West Texas, North and South Texas, California, Kansas, and Oklahoma. At 69 years young he is at the top of the game and prepared to work aggressively for you when you call. On a personal note, Susan and Bob have been married since May of 1978; have lived in the same home since the day they were married in Slaughter Chapel at First Baptist Church in downtown Dallas. Bob says "I have made the living and she has made it worth the living". They have two children, Sara and Scott. -St. Mary's University of San Antonio, Class of 1970, J.D. -University of Texas at Austin, Class of 1967, B.B.A. Watching movies and television shows about lawyers is an American pastime. Almost all one sees are the dramatic courtroom scenes or meetings with clients and witnesses. What is rarely seen in the movies and television is the behind the scenes work that goes into preparing a case. Cases require legal research, which involves finding the prior court decisions, statutes and regulations that govern the case. There may be a compelling, heart wrenching story, but without supporting legal research, there may not be a case. Legal research often makes or breaks a case. You have probably heard the term "legal brief." The legal brief is a document prepared from the legal research that lawyers do. It is presented to the judge to show the judge that there are prior court decisions involving similar cases, or statutes, that stand behind the claims that are being made in a lawsuit. Briefs are the roadmaps that lawyers use to present the case. Briefs can be fifty pages or more in length in complex cases. 1. Finding the right expert and working with the expert to make sure his report meets the required legal standards. In most cases, expert testimony and expert reports are required. The United States Supreme Court in the Daubert opinion and the Texas Supreme Court in the Robinson opinion adopted the standards that must be met in order to be able to present expert testimony. 2. Preparing questions for witnesses whose depositions will be taken. Witness deposition can last all day in some cases, and thorough preparation is critical essential for drawing out facts from key witnesses. 3. Reviewing documents and medical records, which in many cases may be thousands of pages, that support the case, or that could be an obstacle in the case. Documents and records may make or break your case. A favorable jury verdict, or what happens if the judge dismisses the case. Many cases are appealed. The court of appeals reviews what happened in the trial court and determines whether the trial judge made the right decision, or if the jury verdict should stand, or be reversed or modified. Billy McGill has spent time in courtrooms, and is comfortable there, for most of his career he has been the "behind the scenes" lawyer who spends the vast majority of his time doing the legal research, writing the briefs for trials and appeals, researching reviewing and analyzing documents and records, and preparing for depositions. 8. Prepared brief in support of a special appearance by a business that manufactured specialty cars, which resulted in the dismissal of the lawsuit against the client.